"The front glass panel, rather than plexi-glass, is one of the major recent improvements in Sharp's 4K TVs – providing a richer, deeper picture." 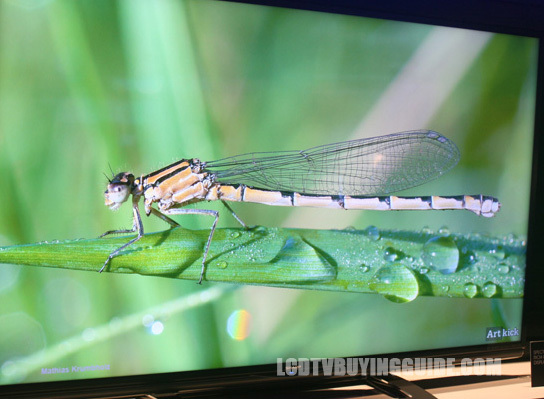 Sharp's most affordable 4K TV for 2015/early 2016 contains some nice upgraded features. The difference between the UB30 series and the higher end UE30 series is a backlit local dimming quality difference and lack of the Android TV platform. Importantly, the UB30 does have the front glass panel (rather than plexi-glass) that is one of the major recent improvements in Sharp's 4K TVs – providing a richer, deeper picture. There are several upgraded picture quality features aside from the glass front panel and its accompanying benefits related to deeper color, and picture depth. The most important is the Revelation Upscaler. Without the ability to upscale 1080p and lower resolution content well, you would not currently even want to purchase a 4K UHD TV because there is such limited 4K content available. 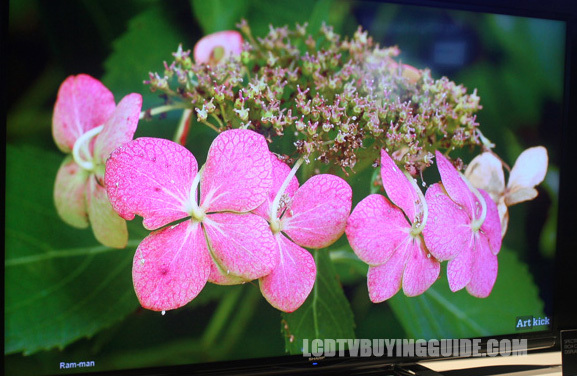 Sharp's UB30 series LED 4K TV uses LED edge lighting technology rather than the more expensive full-array backlighting. This type of lighting obviously has its drawbacks such as inconsistent backlight uniformity and weaker side angle viewing, but with the new glass front panel we believe the performance of the UB30 is better than previous models from Sharp. We did not note any problems with backlight uniformity, but this weakness normally develops over time in LED backlit TVs even with moderate Backlight settings. A continual thorn in the side of manufacturers of LED backlit LCD TVs (like this one), side angle viewing quality is OK but certainly could be better on the UB30. There is a slight haziness visible from side angles starting at around 15 degrees off-center. Input lag is an issue that the most avid gamers will notice. Most video gaming content from our PS4 rendered smoothly to the eye though. 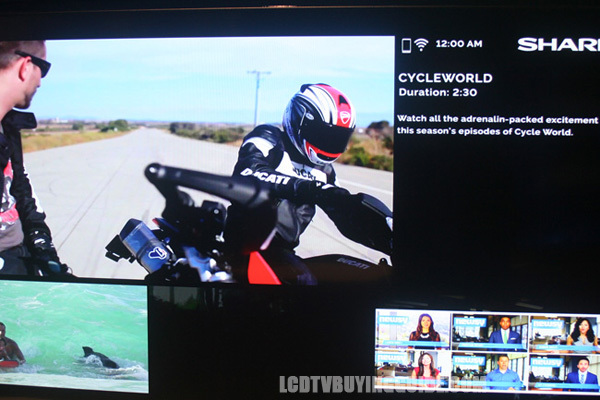 Another cost saving measure on the UB30 is the Smart Central 3.0 rather than Android TV Smart TV menu. The small Smart Central button on the remote takes you directly to the Internet TV settings. The menu that pops up initially includes Vudu HD Movies, You Tube, Hulu Plus, Cinema now, Aquos Advantage Live (support), Vudu, Netflix, and then scrolling right one time provides access to a web browser, FilmFresh, Skype, USB Media Input, and Home Network. Home Network is the favorites section which will change per your choice. CNBC App that's free through the Vudu platform is basically clips from the TV show so a very worthy App. There is a list of stocks which can be edited and selected on-screen while watching the clips.Rating: 4.5 out of 5. Sharp's Ultra Slim Bezel Frame is included on the UB30. Sharp does a nice job of keeping it simple as always and forgoes the curved screen for a good-looking efficient design with a very small frame footprint of around a half inch in black or charcoal gray. Prices are a compelling part of these new Sharp TVs. The LC-43UB30 starts at a reasonable $599. The Vizio M-series 4K TVs may be the closest comparison. Sharp's up-conversion technology is better and we feel you get an very quality package with the UB30 without paying up for features you may not use. If you're not much of a gamer and are using the TV from front and center, the UB30 is a great deal.